Members of the media can contact Miguel Casellas-Gil at MiguelCG@newsandexperts.com to request a copy of the report or to arrange an interview with one of the Institute’s researchers. Socionomists have long hypothesized that major epidemics tend to occur near lows in social mood. 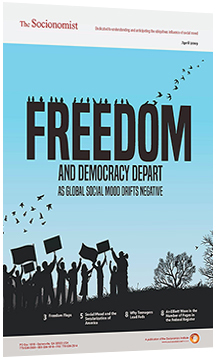 In this groundbreaking, two-part article from 2009, Alan Hall shows that indeed, throughout history, whenever social mood grows sharply more negative, society should anticipate an outbreak of one or more epidemics that often culminate in a pandemic. The following excerpt includes just a few of Hall’s convention-challenging insights.